Spéos has formed many long-lasting alliances and exclusive partnerships, from the educational field with the American universities RIT and RISD to the photographic industry with Leica and Prophot, and also with internationally acclaimed professionals such as Magnum Photos, Paris Match and fashion photographers Paolo Roversi and Dominique Issermann. Spéos is uniquely integrated into the photography market, to the benefit of its students and graduates. – A 1-year program for Creative Documentary and Photojournalism in Paris. This program is designed for students who wish to pursue a career in documentary photography and/or photojournalism, in the Magnum Photos tradition of visual storytelling. – A short program in 5 months with Magnum Photos in London, in Creative Documentary and Photojournalism, taking place twice a year in London, with intakes in September and February each year. Learn more about Magnum Photos agency. Paolo Roversi and Spéos have teamed up to create an exclusive program in Fashion Photography, aimed at students who wish to pursue a career in fashion. The artistic direction was entrusted to Dominique Issermann from 2016 to 2018. Read more about Paolo Roversi and Dominique Issermann. Paris Match and Spéos have partnered up to create a new and exclusive Photo-reportage and press magazine program in Paris. This program is designed for students who wish to work for the mainstream media press, deal with national and international news, from breaking news to big news reports, as well as covering the lives of celebrities, artistic, cultural, scientific and political news. Know more about Paris Match. Leica is supplying photographic equipment for the first students to enroll in the Photoreportage and magazine program, created by Paris Match and Spéos, starting in September 2017 in Paris. The legendary German brand offers a V-Lux to each student to accompany their 2-year training until July 2019. Already a hundred years old, the manufacturer with the small red patch continues to affirm its commitment to photojournalists and photo-reporters by partnering with Paris Match and Spéos as part of this endowment. To continue the long relationship it has with Paris Match – for many years Leica has always equipped the photographers of the magazine – it is now entering the world of education with Spéos. Spéos is official partner of the Voies Off festival of Arles since 1997. Every summer, the school supports emerging photographers from all over the world through this festival. Spéos and Maison Niépce thus sponsor portfolio readings: a must-see for photographers in the court of the Archdiocese, the Voies Off festival welcomes each afternoon 125 experts come to meet photographers for individual exchanges of 20 minutes. By its support, Spéos also allows the production of the Nights of Projections, epicenter of the festival, during which the fans can discover the best of contemporary photography every evening. Know more about Voies Off. The ANI (“Association Nationale des Iconographes”), the French national photo editors’s association, is a non-profit association run by volunteers. Founded in 1997, the association brings together professionals working on images (mainly still images) but who are not photographers. Its goal is to federate professionals, while following the changes and the evolution of the industry. The ANI now has about 200 members, working with all types of images: reportage, fashion, advertising, art photography, etc. Spéos hosts ANI trainings since 2014. Several ANI iconographers also give conferences and portfolio readings to Spéos students. Learn more about the ANI. Founded in 1988, the Atelier Chardon Savard trains young talents, fashion designers, designers and fashion communication experts in Paris, Nantes and Berlin each year. The Atelier has a specialized know-how in Knitwear, Trends and Accessories. Entrenched in the professional world, the privileged links of the Atelier and the profession allow students a rate of Record placement in luxury houses with designers from ready-to-wear to Haute-Couture. Students from Spéos and the Atelier Chardon Savard work together during their training to enhance their respective work: fashion designers bring photo subjects, in return the photographers train on these subjects and provide high quality visuals highlighting the creations of young designers. Learn more about the Atelier Chardon Savard. For the 30th consecutive year, Spéos is organizing the Winter Session for the American students of RISD in Paris. 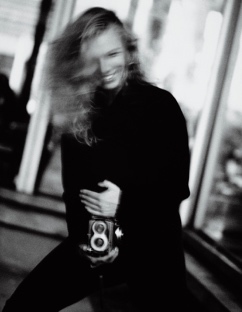 This 6-week session allows Art students to learn about photography. Since 1993 Spéos has organized videoconference courses with RISD, during which the professors of the American university could take part directly with Spéos students. In 1997, Spéos received a grant from France Télécom to train a deaf French student to teach photography to deaf people at RIT / NTID (National Technical Institute for the Deaf). The program started the following year. Several summer workshops taught by RIT and Spéos professors in Paris allowed American students to obtain credits for their university curriculum. From as early as 1993, two RIT professors regularly appeared in Spéos annual programs in Paris by videoconference: Bill DuBois and Ken White. 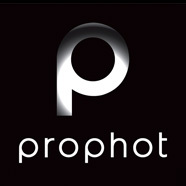 Spéos is always looking for new opportunities for photographers and relies on the remarkable benchmark of the market, Prophot; the first distributor of professional photographic equipment in France. Photo Brands: Nikon, Canon, Konica Minolta, Fuji Film. Since 1999, Spéos actively protects the world heritage of photography through ownership of the museum of the invention of photography: the Maison Nicéphore Niépce Museum, where the very first photo in the world was taken by the creator of photography himself: Nicéphore Niépce. The Museum was awarded the prestigious label “Maison des Illustres” by the French Ministry of Culture in 2013, and sponsored by the Academy of Sciences and the Academy of Fine Arts. 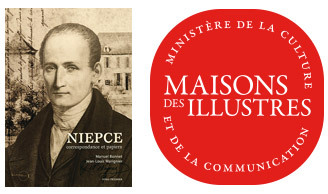 Spéos financed the creation of the book Niépce, Correspondance et Papiers, which contains all the correspondence of Niépce in a 1,600-page book written by Manuel Bonnet, a descendant of Niépce and Jean-Louis Marignier, a CNRS researcher. This book, published by Éditions Maison Nicéphore, is fully available online. Spéos continues to invest in research into Nicéphore Niépce’s inventions. Learn more about the Maison Nicéphore Niépce Museum. See all correspondence of Niépce online.